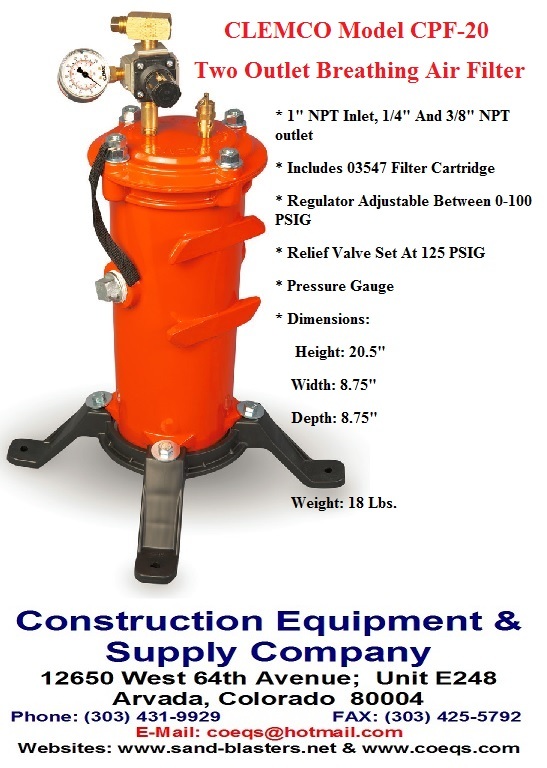 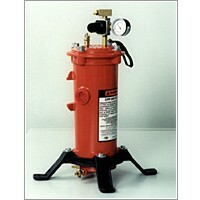 The CLEMCO Model CPF-20 2-Outlet Airline Filter Comes Fully Equipped With Pressure Gauge, Relief Valve, Pressure Regulator And Hose Adaptor Fitting. 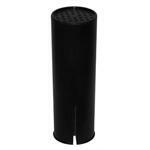 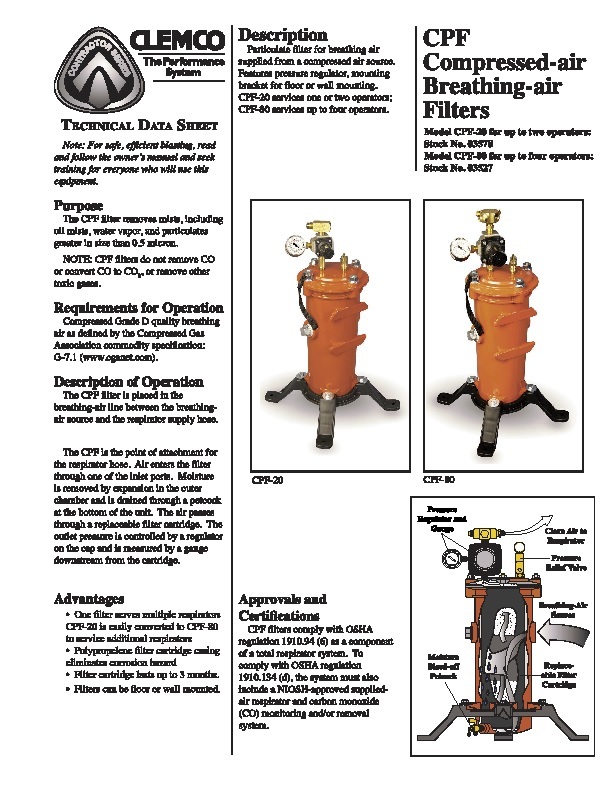 Dimensions: Height: 20.5" x Width: 8.75" x Depth: 8.75"
Please Select Here For Additional Information On The Clemco Model CPF-20 Airline Filter! 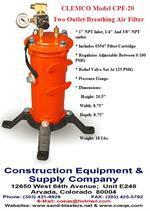 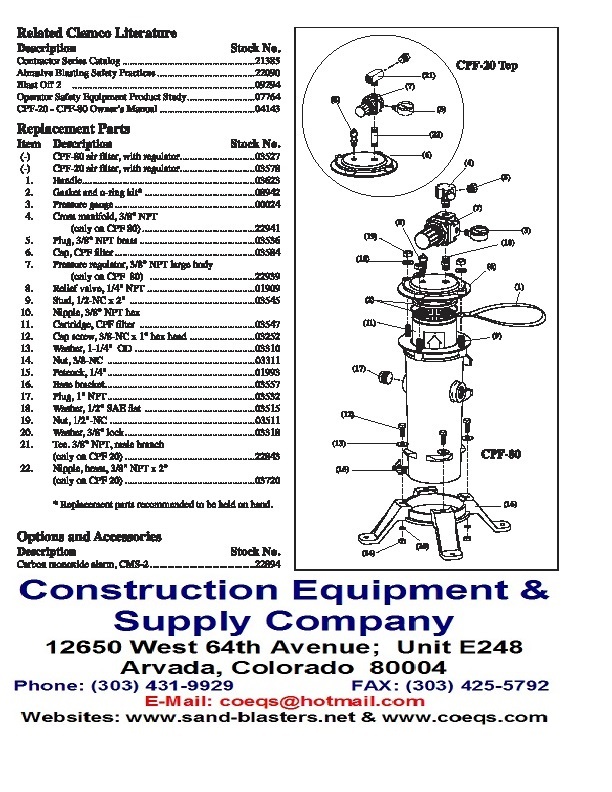 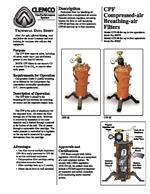 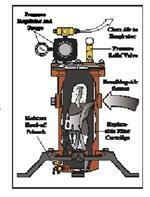 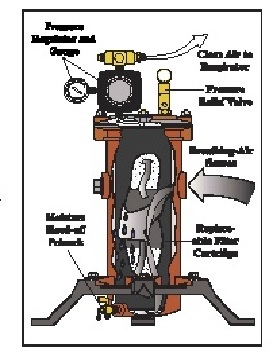 CPF Filters Comply With OSHA Regulation 1910.94 (6) As A Component Of A Total Respirator System. 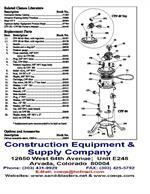 To Fully Comply With OSHA Regulation 1910.134 (d), The System Must Also Include A NIOSH-Approved Suppliedair Respirator & Carbon Monoxide (CO) Monitoring And/Or Removal System.